Created using a mix of nature footage and well-edited performance shots, the video for “Strife” found its way online this morning via our friends at Revolver. The video is the first off Vengeance Falls, and it does a fine job of supporting the original tracks without ever being all that creative. “Strife” is the first single off Vengeance Falls to see a proper promotion push, and to be perfectly honest it is a hard song to love. The guitar work and structure could not be more on point, but the influence of producer David Draiman (Disturbed) on Matt Heafy leaves a lot to be desired. It’s as if Heafy is attempting to channel Draiman’s approach in an attempt at what I can only imagine is a grab for broader appeal, but his voice simply does not have the inflection to make it work. The results are jarring, even on repeat listens, and the badass guitar solo at the end is not enough to save “Strife” from falling apart. Vengeance Falls arrives in stores October 15, but you can preorder the album now on Trivium’s website. 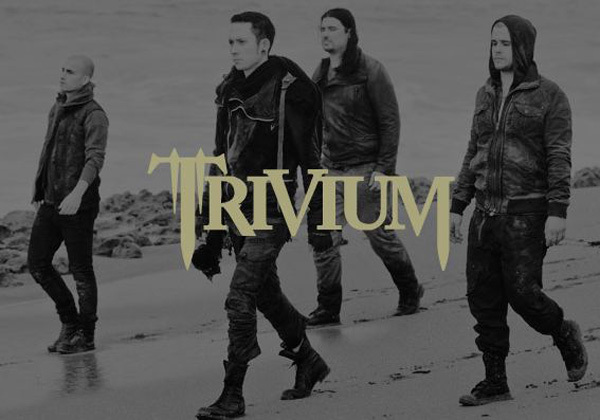 Trivium will be touring heavily this fall in support of the new album. Their next run is a co-headlining stint alongside DevilDriver that kicks off later this month. Click here to see when they’re coming to a city near you.